Sen. Chuck Grassley (R-Iowa), ranking member of the Senate Finance Committee, has asked the HHS Secretary Kathleen Sebelius to review the Food and Drug Administration oversight of health information technology safety. In a letter released Wednesday, Grassley asked Sebelius to outline health IT safety monitoring at HHS, the FDA and elsewhere and assess whether regulators require additional authority. 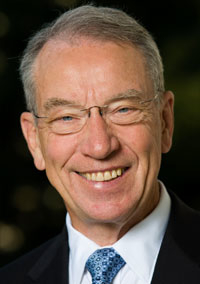 Grassley, who last month asked roughly 30 hospitals for information on health IT and surveyed vendors in October 2009, also released a letter to the Healthcare Information and Management Systems Society. Grassley asked the trade group to respond by March 10 to questions about recommendations put forward in 1997 for voluntary and regulatory oversight of health IT. The recommendations, published in the Journal of the American Medical Informatics Association, called for local oversight “whenever possible”; FDA oversight of the riskiest clinical software and labeling for most health IT; and an industry wide code of good business practices.